These two had a really beautiful start of a romance when he is suddenly sucked back into his bottle, only to reappear as slave to Julian’s wishes. Not nearly as hot as it sounds, they work through it, and they even get a HEA! Alessandra was, by far, the best part of this book. She was a wonderfully beautiful soul and was obviously destined to break his curse. You know what was the worst? Julian’s family! Once you move beyond the horrible people in their family, the story was pretty enjoyable. 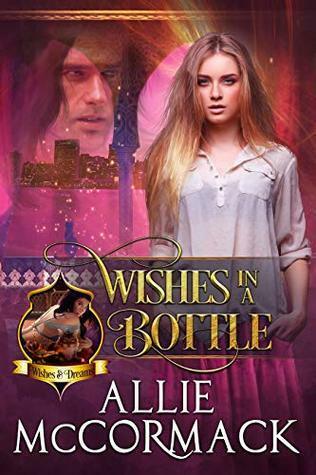 Sign into Goodreads to see if any of your friends have read Wishes in a Bottle.